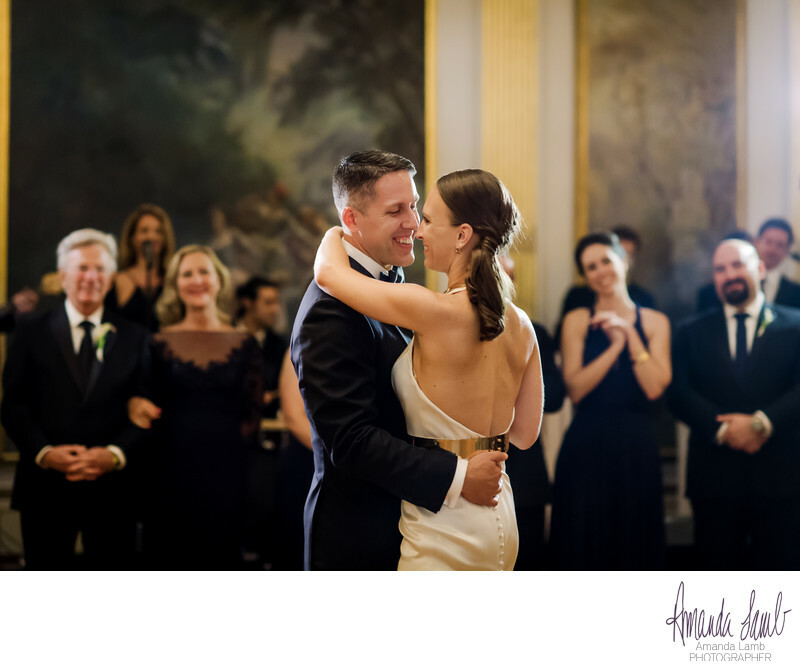 This wedding at The New York Palace was so wonderful. Nicole, the bride, had such stylish taste, so it's no wonder she chose such an aesthetically pleasing venue for her wedding. Her simple, elegant wedding gown was decorated with a simple, gold band belt, and she was absolutely stunning. Both Jason and Nicole were so well-loved by their friends and family on this incredibly beautiful day. Location: The New York Palace.